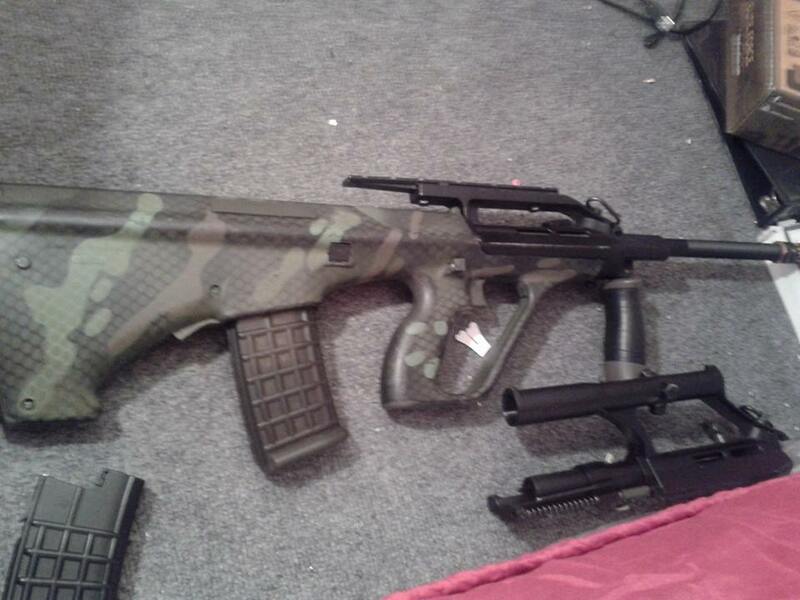 Looking to get rid of my classic army aug. Comes with 2 mags, one high one mid, has both front receivers. Shoots about 380 with a .20 , Matrix 6.03 TBB, silver plated wiring, Duracoat paintjob. Pm me with any offers, will entertain any trade and/or cash offer.